Check & Connect is excited to announce the launch of our new LIVE! Online Trainings. The Preparation and Implementation training is the first offering in our new suite of online offerings. The LIVE! 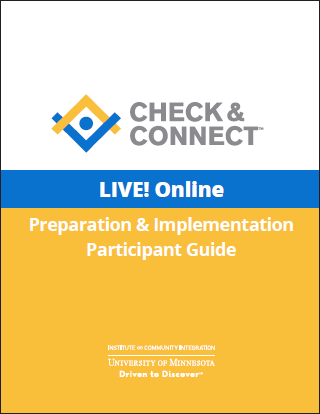 Online Preparation & Implementation Training is an interactive engaging training delivered in two parts (3-hours each). 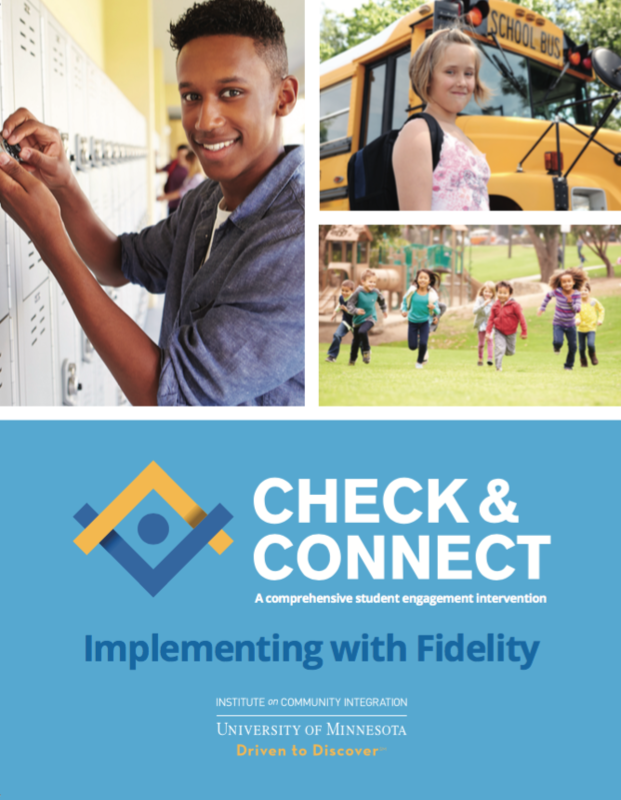 This 2-day online training will provide administrators and leadership teams with the Check & Connect framework and guides stakeholders through the planning steps for implementing with fidelity. 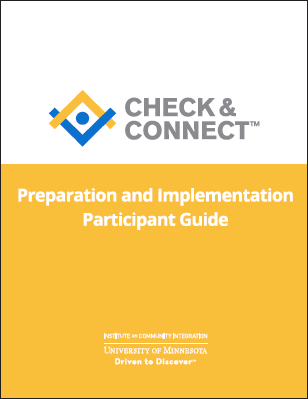 This training is specifically designed for Check & Connect coordinators and site leaders. For additional information on Mentor training options, please see our Training & Consultation page for Mentor training opportunities. Delivered over 2 days (3-hours each). A thorough overview of C&C for administrators and leadership teams. Pursuing training for leaderhship teams of 10 or less. To ensure a personalized experience, space will be limited for each training series (2-days). To qualify for the 15% discount, all participants must register at the same time. Please register online using the link provided. We accept payments by credit card and purchase order. If paying by purchase order, see instructions below. Group registration is required for groups of 3+ to receive the 15% discount.